Athens is a city full of the aroma and flavor of the ancient past. Stroll around the Acropolis and feel like ancient Greek. The main attractions will give you an impression of ancient Greece and some very beautiful pictures to get back with you. Start from the Acropolis metro station. The first thing you will encounter is the Arch of Hadrian, built for Emperor Hadrian on the 2nd century. The Temple of Olympian Zeus is on your left, Greece’s largest temple took approximately 650 years to build in the years 515 b.c to 132 A.D. 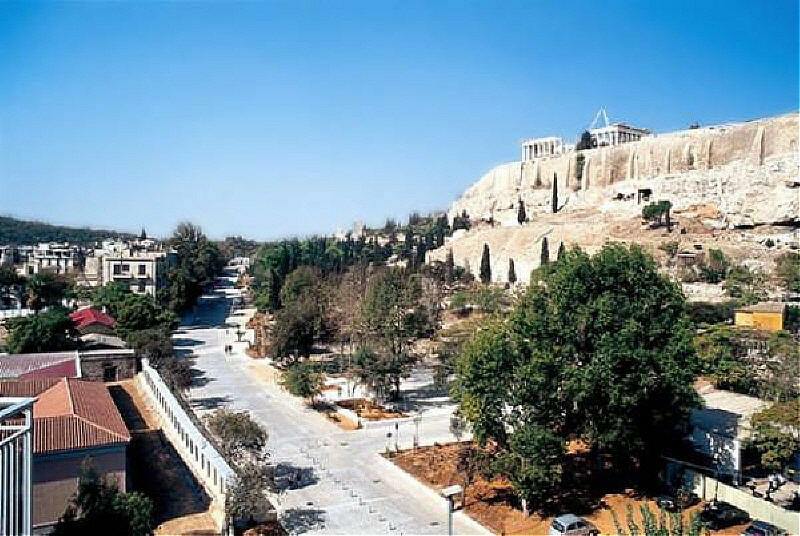 When you enter the Acropolis Walkway you are in Dionysiou Areopagitou Street, it goes all around the Acropolis. On your right is the Theater of Dionysos, which was build on the 6th century B.C and it is the first and oldest theater in Athens. Many competitions for the best drama took place here in honor of Dionysus, god of pleasure. In front of you, you will see the Herodes Atticus Theater, built by Herodes Atticus in honor of his wife Regilla. During summer time performances of great artists takes place here. While you walk around you have a full view to the Acropolis and the Parthenon, soak up the atmosphere from the Greece’s most iconic treasure. If you continue your way around the pedestrian walkway, Apostolou Pavlou. Opposite Thission theater is the entrance to Areopagus where in classical times trials were held. On this side a path runs alongside the Ancient Agora up to Plaka area. Walk around and see what was once the capital’s business center. The best way to end your walk is in an open door cafe or restaurant in Plaka area.